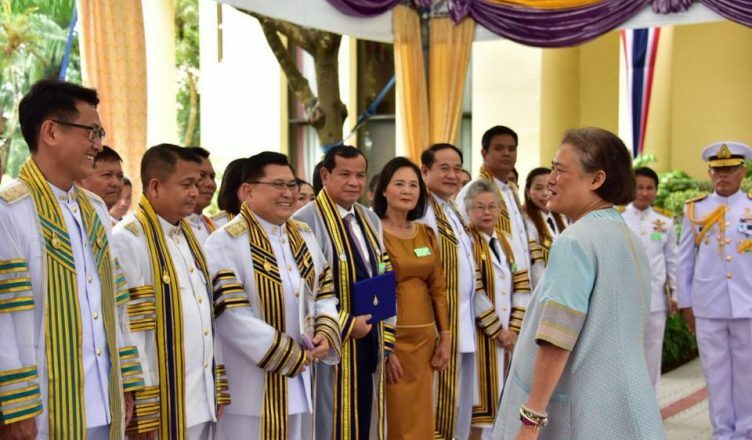 His Excellency Dr. Thong Khon, Minister of Tourism, received HONORARY DOCTORATE DEGREE IN ARTS (TOURISM) of RAJAMANGALA UNIVERSITY OF TECHNOLOGY THANYABURI from QUEEN MOHA CHAKRI SIRINDHORN. 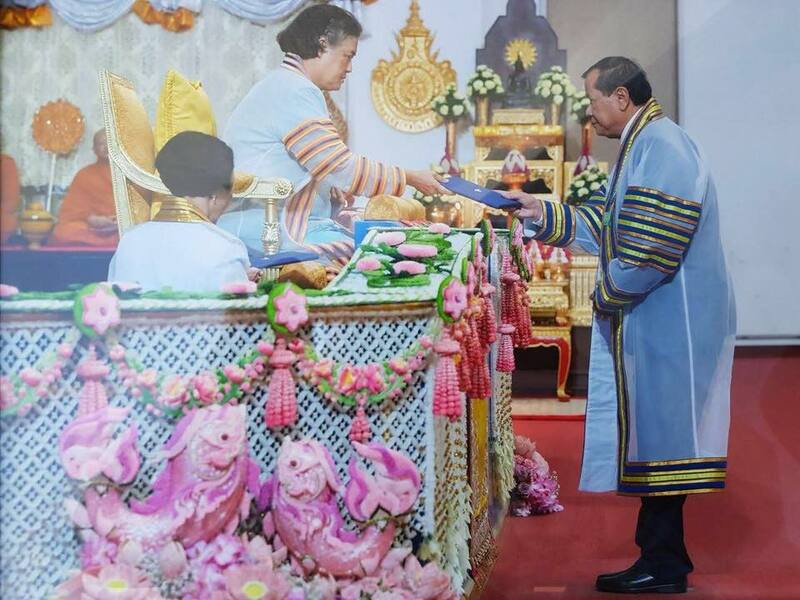 At the evening of 27 August 2018, His Excellency Dr. Thong Khon, Minister of Tourism, had been provided Honorary Doctorate Degree in Arts (Tourism) of Rajamangala University of Technology Thanyaburi of the Kingdom of Thailand by Queen Moha Chakri Sirindhorn, basing on unanimous decision of Rajamangala University of Technology Thanyaburi’s Board of Directors by having viewed and recognized with high willingness qualification in accomplishing achievement and sustainable, responsible and institutional tourism development contributing to enhancing socio – economic development in Cambodia and benefits sharing to all related parties in tourism sector, especially local residents. H.E Dr. Thong Khon received Honorary Doctorate Degree in Arts (Tourism), along with providing 5 other Honorary Doctorate Degree on skills of Industrial engineering, Education, Management, and Art of design in conjunction with Certificates Handing over Ceremony to students of Rajamangala University of Technology Thanyaburi under the most highly presided over by Queen Majesty Moha Chakri Sirindhorn with the participation from totally about 6000 civil servants, professors, teachers and students. 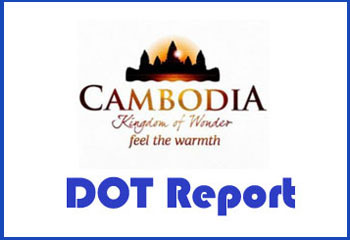 Achievements and profound progresses of Cambodian tourism sector, of course, are come from wise and sound leadership of Samdech Akka Moha Sena Padei Techo HUN Sen, Prime Minister of the Kingdom of Cambodia, who rolled out Win Win Policy, bringing about peace, development and democracy, overall, and particularly, Policy and Comprehensive Tourism Development Strategic Plan in accordance with actively commitment in the implementation of global and regional tourism policy along with the supports and cooperation and high responsible implementation from civil servants, relevant institutions, private parties, development partners and all Cambodian citizens. Please express that Rajamangala University of Technology Thanyaburi of the Kingdom of Thailand, as one out of 09 Universities throughout Thailand (5 Universities in Bangkok, and 4 in the provinces), under direct duty of Queen.